Das Frühstück hatte genügend Auswahl, die Bedienung war sehr nett. Die sehr freundliche Inhaberin holte uns kostenlos vom Bahnhof ab und brachte uns auch wieder zurück. Personal sehr nett, danke fürs Lunchpacket, da wir vor dem Frühstück verreisen mussten. Umfangreiches leckeres Frühstück mit sehr freundlicher Bedienung, bzw. Hotelchefin. 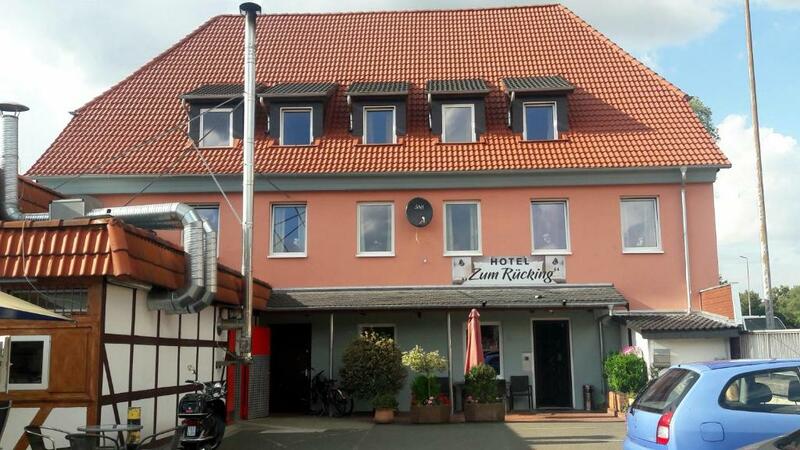 Hotellet ligger fint i forhold til motorvejen og spisesteder i byen. Venligt personale. Die Sauberkeit war erstklassig! Die Lage ist für Autoreisende super. Check-in bereits um 11.30 Uhr möglich. Einlass per Zugangscode. Schlüssel an der Rezeption hinterlegt. Ausreichend Parkplätze. Sehr gutes ausreichendes Frühstück inclusive. Große Auswahl Heißgetränke aus Automat. Flasche Wasser auf dem Zimmer. 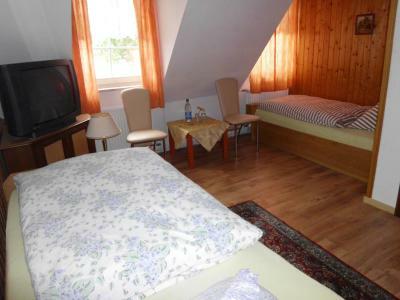 Geräumiges Zimmer. 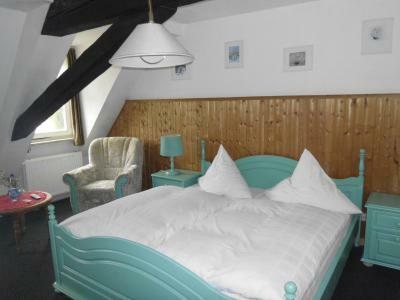 Hotel zum Rücking This rating is a reflection of how the property compares to the industry standard when it comes to price, facilities and services available. It's based on a self-evaluation by the property. Use this rating to help choose your stay! 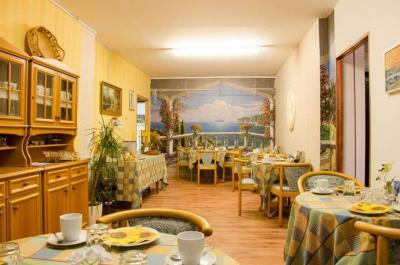 This hotel is 650 feet from Northeim’s center and 1.9 mi from the A7 Motorway. 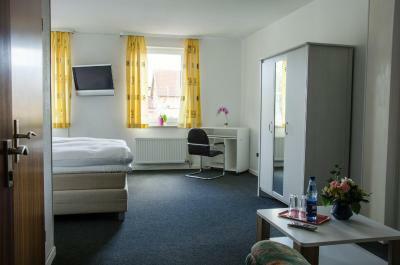 Free facilities include Wi-Fi internet, private parking and a shuttle service to Northeim Train Station. 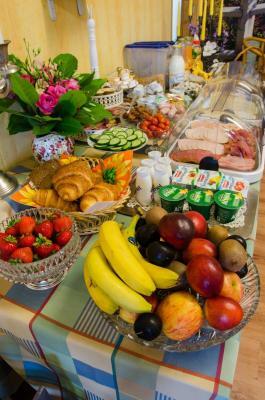 A rich breakfast buffet can be booked at Zum Rücking. Packed lunches are also available at the hotel, ideal for day trips. 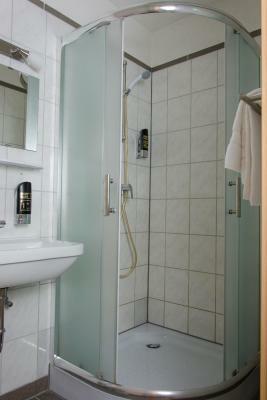 Hotel Zum Rücking’s classically furnished rooms have cable TV and a private bathroom with shower. 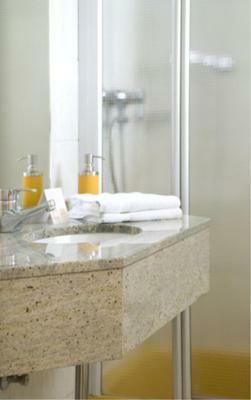 Guests are welcome to use the hotel’s shared lounge, featuring newspapers and a TV corner. 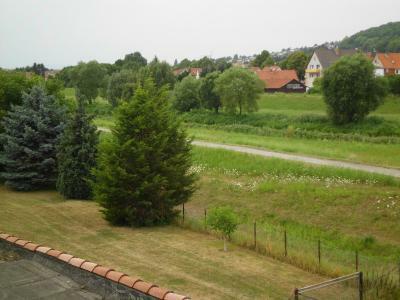 Swimming and sailing is possible at Northeim Lake District, a 5-minute drive away. 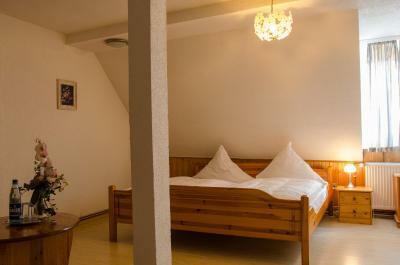 Guests can also hike and cycle in the Harz Mountains, 9.3 mi from the hotel. Göttingen is a 25-minute drive from Rücking via the A7 Motorway. 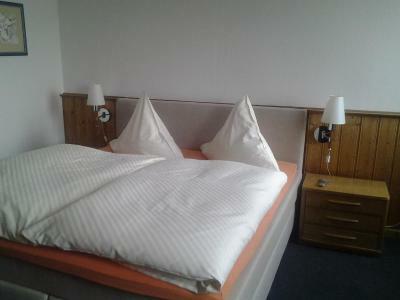 When would you like to stay at Hotel zum Rücking? 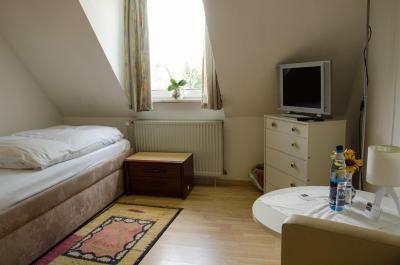 Classically furnished room with cable TV and a private bathroom with shower. 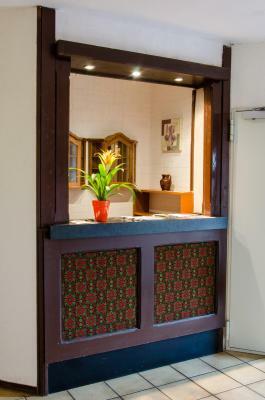 Guests are welcome to use the hotel’s shared lounge, featuring newspapers and a TV corner. 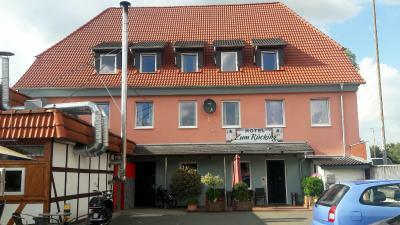 House Rules Hotel zum Rücking takes special requests – add in the next step! 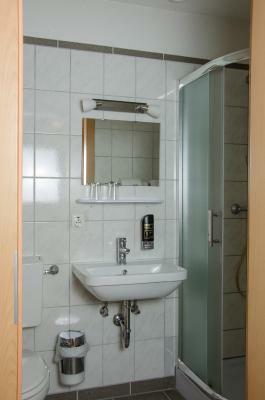 Hotel zum Rücking accepts these cards and reserves the right to temporarily hold an amount prior to arrival.